League of Ireland side Bohemians have unveiled their away kit for 2019, the first product of their new supply deal with O’Neills. The shirt features a large image of Bob Marley along with Rasta-infused trim dotted hither and thither. 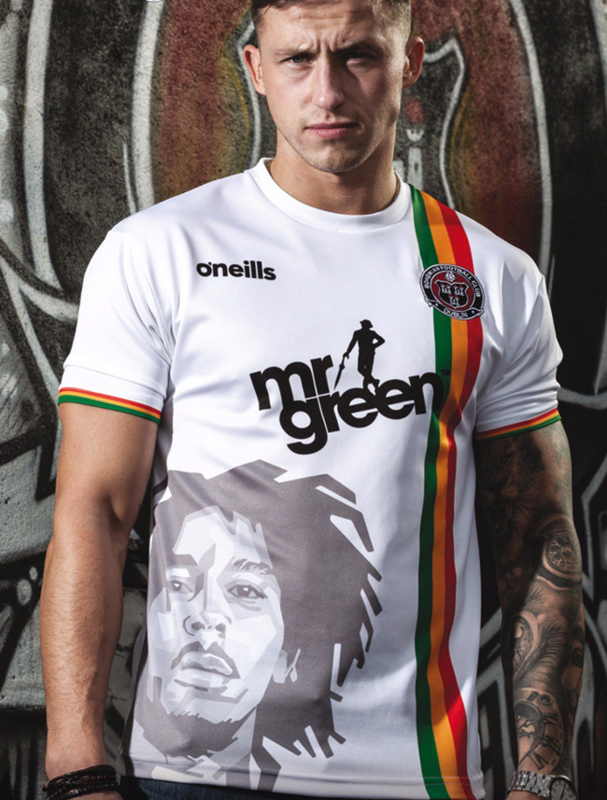 The reason, as explained by Bohs themselves, is that Marley played a gig at their Dalymount ground during the 1980s – a less-than-subtle nod to the stadium’s “special place in the hearts of football and music fans”. I like the fact ‘Mr Green’ are the shirt sponsors. I believe Bob may have partaken in some green himself.